Africa has arrived. The world’s second-most populous continent has emerged as a developing region and high-growth market, and everyone is starting to notice. Major players, such as Visa and Google, are staking their claims as they launch mobile payments and smart messaging in certain African countries. A ride-sharing battle has erupted as tech transit players continue to enter the market. Even Mark Zuckerberg has taken notice. He visited Sub-Saharan Africa earlier this year to learn how to better support tech development and entrepreneurship across the continent. With an established startup ecosystem, currently supported by a suggested 314 active tech hubs, Africa is on the way to success. Africa is ready for global investors and businesses to add to this growing success. The continent’s current population is 1.2 billion and it is projected to increase to nearly 2.5 billion by 2050. Defying global trends, the working-age population of Sub-Saharan Africa will grow by 100 million in 2035. This increase comes at a time when most advanced economies are facing aging populations and a declining share of their working-age population, finds the International Monetary Fund. Figure 1: Technology migration in Africa – percentage of connections. Taken from GSMA Intelligence. Further, Africa’s youth population is better educated than in previous generations. It is estimated that 59% of 20- to 24-year-olds will have a secondary education in 2030, compared to 42% today. As well, the share of Africans moving to urban areas will increase from 36% in 2010 to 50% in 2030, opening access to a growing consumer base. Smartphone adoption is quickly rising across the continent. The number of smartphone connections has almost doubled over the last two years, reaching 226 million. Investments from operators, governments and other players have allowed large areas of the African population to gain access to mobile network coverage. 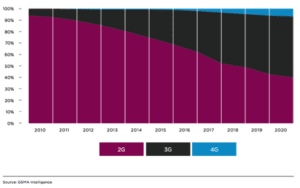 However, much of the continent still relies on a 2G network (see Figure 1), which contributes to high cellphone ownership rates (see Figure 2). 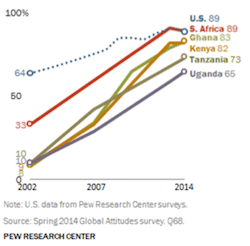 Figure 2: Adults who own a cellphone in Africa from 2002 to 2014. Taken from Pew Research Center. One of the more popular activities among cellphone users is mobile banking. Frost and Sullivan finds that the fintech sector in Africa is poised for exponential and rapid growth that will challenge existing financial services providers. Despite the mobile growth seen in Africa, GSMA Intelligence has identified three significant barriers to the continued growth of mobile services in the region. Cost: Countries in Africa have among the highest total cost of mobile ownership as a proportion of income, particularly for those at the bottom of the income pyramid. Coverage: As of the first quarter of 2016, 3G and 4G networks covered 50% and 16% of the population across the region respectively, around 30 percentage points lower than the global average for both technologies. Technical literacy: Literacy rates in Africa (particularly in Sub-Saharan Africa) are among the lowest in the world, hindering use of mobile services. These barriers are particularly severe for populations in urban areas. 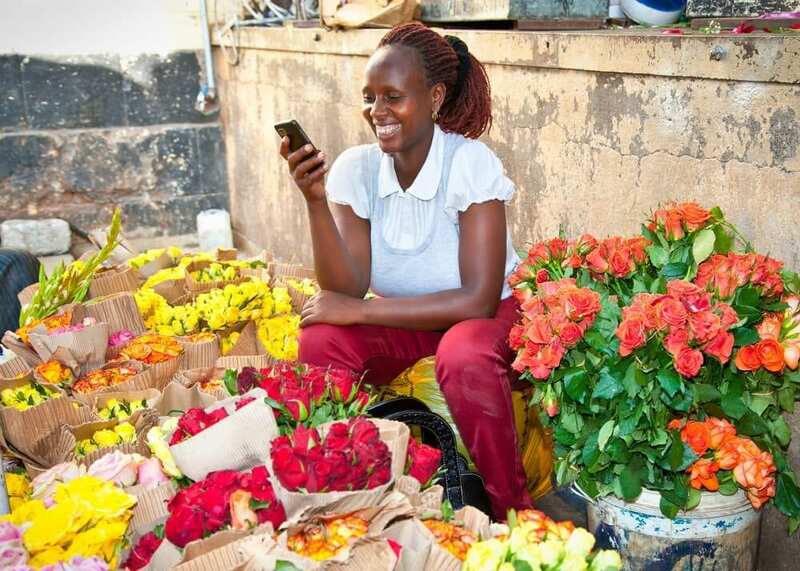 Overcoming these barriers and connecting the unconnected could lead to significant growth in the region, says GSMA. Looking across all industries, there have been 549 financings totalling $11.1 billion in Africa since 2012, according to CB Insights. Figure 3 shows a breakdown of the financings. The number of financings is on the rise each year, but there is an obvious decrease in the size of capital. VC4A, an African platform for startup funding, may have an answer as to why. It finds that companies in Africa need capital, but often not in the amounts most venture capitalists are used to providing. Rounds of $10 million to $20 million can provide an African startup with years of cash burn. VC4A finds that investors need to understand the market before an abundance of capital leads to unwanted mistakes. In fact, investors may already be taking this into account. So far in 2016, there have been 182 financings totalling $1.45 billion, showing a significant increase in financings, but a drop in the total amount invested compared to previous years. Figure 3: Financings in Africa across all industries since 2012. Data pulled from CB Insights. A closer look at startup funding shows a similar story. Nairobi, the capital of Kenya, has transformed into a technology epicentre and has adopted the name Silicon Savannah. Last year, Kenyan startups saw their best year in fundraising since 2010 with over $47.3 million raised. Located in East Africa, Kenya has been projected to be one of the continent’s top tech leaders, alongside Nigeria and South Africa. They are also the top investment destinations (see Figure 4). Figure 4: Top three investment destinations in Africa in 2015 – amount raised in 2015. Taken from Quartz Africa. This isn’t to say that Africa is without its challenges. The Brookings Institution finds that Africa is at a tipping point. Despite the success experienced by the continent, there are new and old dangers that threaten to derail its progress. Access to funding, weak infrastructure and inconsistent government regulations, among other barriers, are some of the obstacles faced by startups. However, these challenges have solutions. Investing time and attention to those solutions will give startups the chance for success. Only then will Africa be positioned to continue on its path as a developing region and high-growth market. Join MaRS on November 1st at our Going Global: Africa’s Emerging Tech Market – MaRS Market Insights event. We will take a closer look at the activity in Africa, how Canadian companies are participating and what this means for the future of the continent.